This exquisite shoe is designed to look like it is made out of Sturgeon leather. 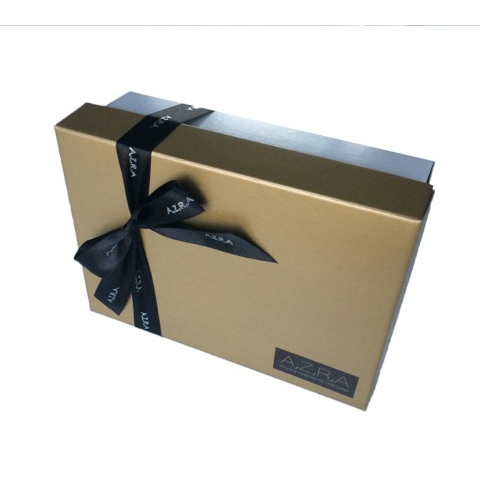 It is beautifully gift wrapped in a gold lid box complete with ribbon, ready to give to any lady who deserves a luxury gift. A beautiful, luxurious milk chocolate shoe with a leather look affect, brushed with luster dust. A white chocolate toe decor encrusted with edible pearls finishes the shoe off nicely. 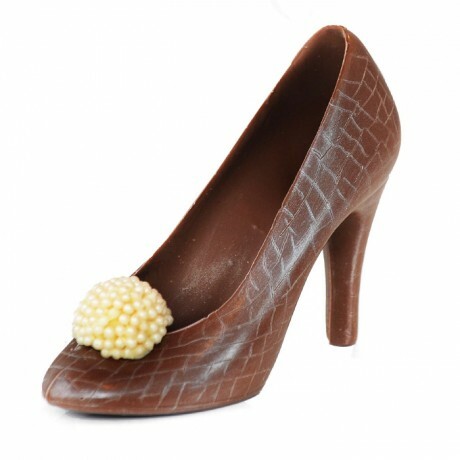 Perfect gift for women who love shoes and chocolate! The creation of Azra chocolate shoes is an art. Each product is handcrafted and made to order which makes each individual shoe one of a kind! Dimensions: Shoes measure 7 inches long and stand 5 inches high. Ingredients: Milk chocolate min cocoa solids 33.6%, min milk solids 20.8% Sugar, cocoa butter, whole (MILK) powder, emulsifier, (SOYA) lecithin, vanilla flavouring. EDIBLE PEARLS & LUSTRE DUST: Sugar, (WHEAT) starch, Maltodextrin, glazing agents (E414, E904) Colour (E155, E555) E171, E172 Potassium Aluminium Silicate, titanium dioxide.